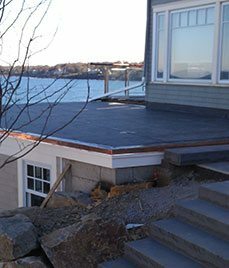 Landmark Roofing is a roofing contractor serving Newton, Wellesley, Weston, Brookline, Sudbury and surrounding communities. 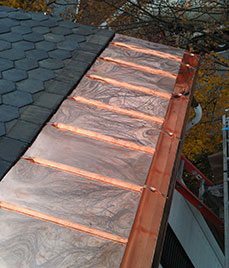 We provide new construction and repair services and specialize in slate, copper, shingle and flat roofing. 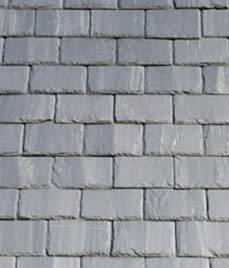 Additionally, we offer related home remodeling services like masonry, gutters and historic restorations. With over 65 years of combined experience, we have earned a reputation for giving clients what they ask for and getting projects right the first time. Our industry expertise allows us to provide the highest quality roofing and renovation services while keeping costs low. 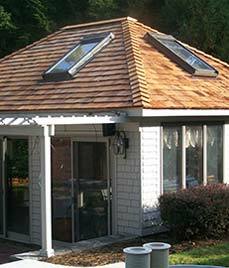 Landmark Roofing is a fully licensed home remodeling company. We’re proud of our many satisfied clients throughout the area, who often recommend us to others. If you’d like to find out more about our services or would like to request a free estimate, please call (617) 965-ROOF (7663) or complete a short contact form, and one of our staff will get in touch with you shortly.